We’re just a couple of weeks away from the debut of the international EDM festival Ultra Australia; with the event taking place in Melbourne and Sydney on the 23rd and 24th of February, respectively. 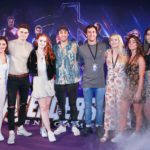 We recently had the chance to catch up with one of the event’s headliners, the Dutch DJ and Record Producer Martin Garrix. We chat about his forthcoming appearance in Australia, his concept show Anima, whether we can expect new live tracks when he’s down here, the importance of his team, how he discovers new talent and more! You have released music and played sets under your other projects Area 21 and YTRAM. Do you feel pressure and expectation to only release “certain music” under the name Martin Garrix? What have these projects allowed you to do creatively that perhaps “Martin Garrix” cannot? Not really, but sometimes another project gives you just a bit more creative freedom. I love to experiment and release music people don’t expect as Martin Garrix as well. It can also be fun to experiment under a different name to see whether people will listen to it or like it without my name being attached to it. Amsterdam Dance Event and RAI specifically seem to be the benchmark of your shows. This year you created your first concept show called Anima. Have you started planning your 2019 show and can we expect more concept shows? For sure! The yearly shows during Amsterdam Dance Event are super important and we had been working towards this show for such a long time. We are now also taking Anima to other places over the world. Recently some of the unreleased tracks you have played have been stolen and released by people claiming them as their own. Consequently will you have to stop playing new tracks live, or can we expect new music at Ultra Australia? I would never stop playing new tracks live. It’s a shame this happens, but I would never let it stop me. How do you go about finding new talent for your label and what have you got planned for STMPD in 2019? We find talent everywhere basically. We have a demo drop on the website where everyone can submit their tracks and the team has a listen. We’ve got a lot of cool, new things planned with our artists in 2019. Can’t wait for you guys to hear all the new music that we have lined up! What are your plans for 2019 summer residencies and how do these smaller club shows compare to big festival shows like Tomorrowland? We have some very exciting announcements coming up soon that I can’t tell you about just yet. I love both the vibe that you get from club shows and festivals. It’s very different, but that’s what keeps it exciting. Residencies for me are a great way to test new music and to try out new things every week. I just love it all! In your YouTube series The Martin Garrix Show, you give such an insight to the team around you, from your photographer, Louis Van Baar to everyone who puts together the show. At the heart of this is the importance of having a great team around you. How important is this team for you in progressing your career (as well as surviving on the road)? Tell me about team Garrix, as your best friends and co-workers. My team is everything to me. The most important thing is they truly care about me and my well being before anything else. I feel that’s something you really need in an industry like this. They are my support system and keep me with both feet on the ground at the same time. Big room/future house music is a lot smaller In Australia than it is in Europe. What are you expecting from / hoping for our Australian crowd at our first ever Ultra? That it’s going to be a massive party! It’s been a little while since I’ve been to Australia for shows, so I can’t wait to return and play for everyone. Who else should we be listening to in 2019? Definitely keep an eye on the releases of STMPD RCRDS, we are signing so many amazing talent right now and will be releasing crazy tracks the coming year. Martin Garrix joins fellow headliners Adam Beyer, The Chainsmokers, Marshmello and more when Ultra Australia hits Melbourne’s Flemington Racecourse on 23rd February and Sydney’s Parramatta Park on 24th February. For tickets and more details head HERE. The event will precede the iconic Ultra Music Festival in Miami, which happens at the end of March. You can find out about that event, including its phase two lineup HERE.